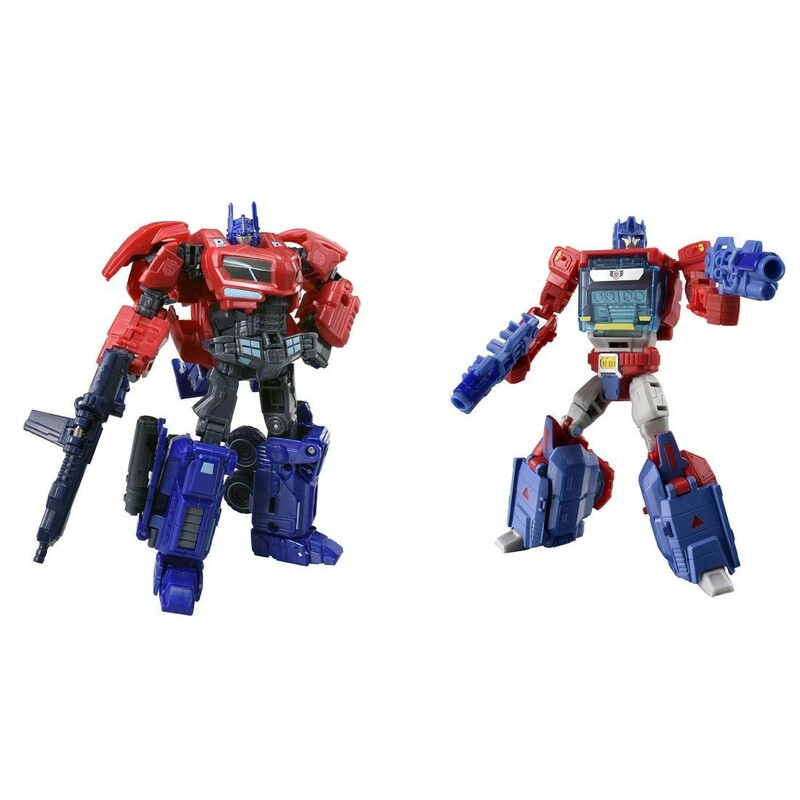 The sought after Transformers Tribute Optimus Prime Evolution set, featuring a Titans Return Orion Pax, has now been found on Amazon. And not just Amazon.com, but Amazon Japan as well. While the Japanese listing is a preorder, the American listing is now live and you can purhase this Prime eligible set for $29.99. This was brought to our attention by RodimusConvoy13. Will any of you be getting this set? Let us know in the forums! Got one. Thanks for the heads-up. Just nabbed one, thanks for the heads up. Man, I feel bad for anyone that already paid $60 from the 3rd party online retailers. Nah, I'm good thanks. These look kinda junky to me. Wouldn't mind the other deluxe two pack that has DotM Deluxe Prima and 2007 Protoform Prime though. 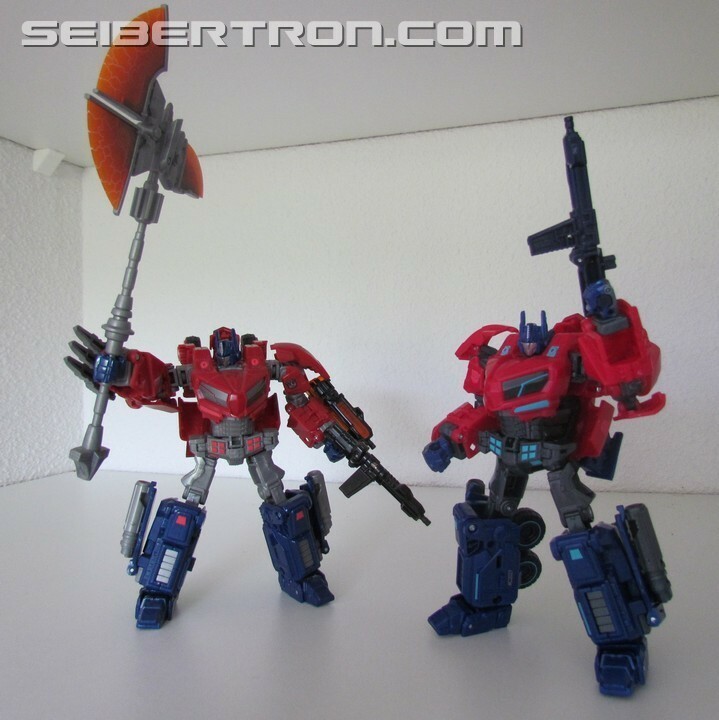 While we do have a video review for this set - from the Transformers Tribute toyline - fellow Seibertronian ExciKaiser has been nice enough to acquire a set and provide a pictorial review of the two versions of Orion Pax / Optimus Prime, both reusing previous molds, but only one with some changed details! Find out more below. Not sure if the box picture is still necessary as everybody has saw it, but.. It's really a strange set. 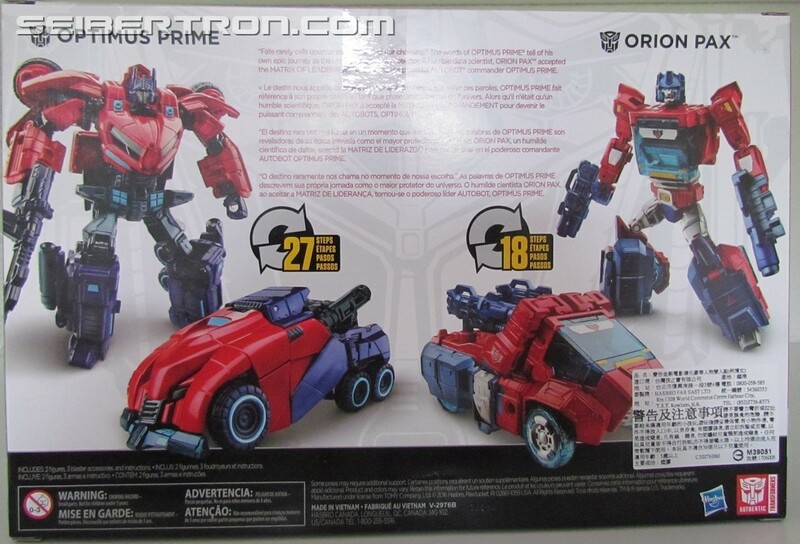 One of the most detailled and complex Generation Deluxe, with ... ok not the worse, but at least the most simplistic looking and less detailled of TR line. So in the end ? I initially planned to resell the WFC Prime as I already had the original. Except now I have it, I think I'll keep it. I can't choose which one is the best. I like the more vivid colors, as well as the neon blue instead of neon pink. It's the same conflict as between the orginal Supercon armada Prime and the Galaxy force vivid repaint. For Orion Pax, I decided to prefer him to Kup because of the head before even buying it. Now I got it, I'm a bit deceived by this head (the T30th was more detailled aven if smaller), but it's still far better from the Kup's one. The plastic remains the same, whic means this strans porous-looking cheap plastic. Strange considering the WFC got the same high grade plastic as the first release. And he is as floppy as Kup.. Interesting symbol on Pax's chest here. The same on sides of vehicule mode. I supposed it's eliteguard, but after check, it's not the same. 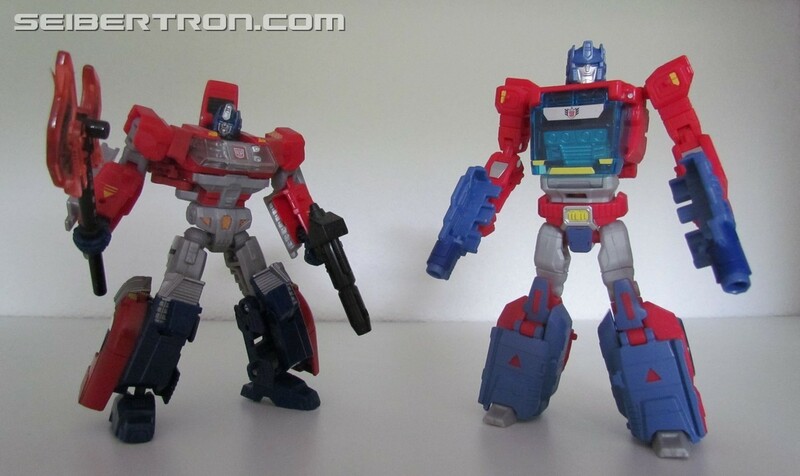 I think the Prime definitely looks better than the original release. The Pax just looks awful to me. No redeeming features whatsoever. I think I'm tempted to buy it if cheap just to have a look at how the Prime transforms as I've not played with that mold and am curious and dunno if I'd keep it or sell it on. I'd just sell the Pax right away. 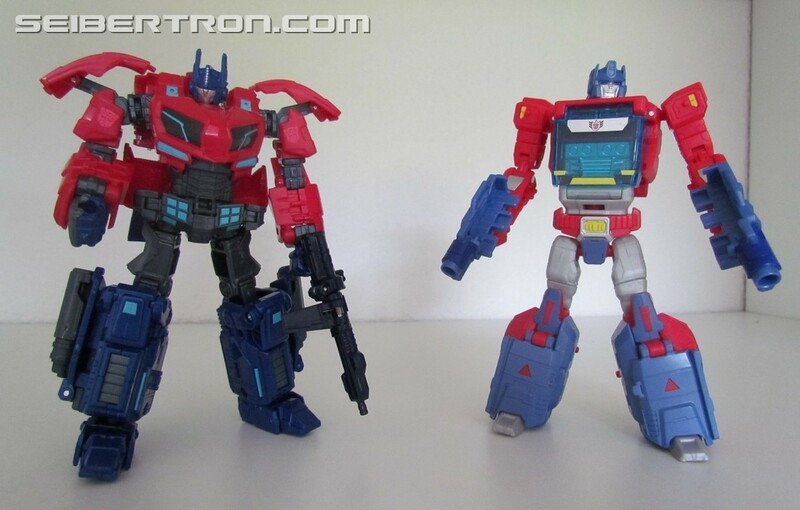 Carnivius_Prime wrote: I think the Prime definitely looks better than the original release. In fact, that's it, since my post/review, the new one replaced the original on my shelves. Carnivius_Prime wrote: The Pax just looks awful to me. He is correct compared to other titans return. Not the best, but correct. Putting him on the same box was really unfair. 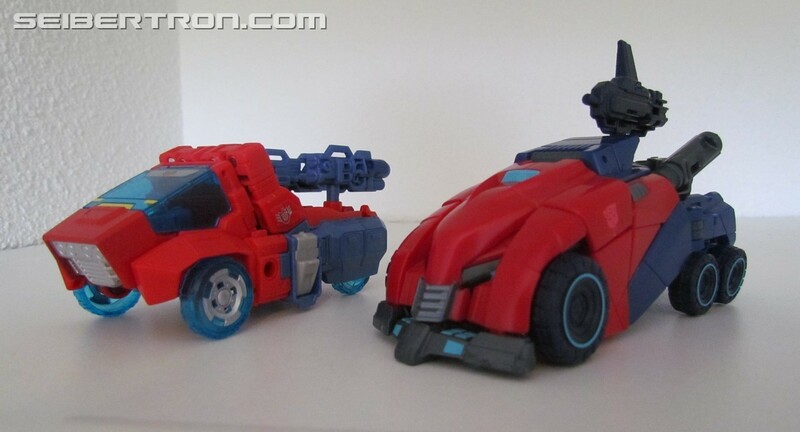 Even the FOC prime for the same era would look bad next to the WFC. Yeah the newer one just has better contrast with that bolder red and darker grey particularly on the chest. That appeals to me much more. I don't really like the Kup figure as is though the Takara one fixes a lot of the issues I have with it such as the arms. 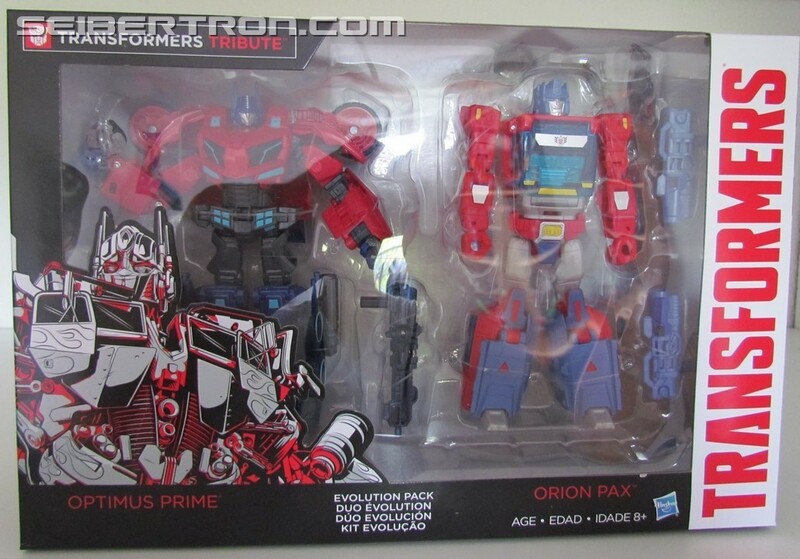 Of all the things that were chosen from the cartoon model of Orion Pax to incorporate into this figure, it was the cartoon model's kissy lips. I have my set ordered and it should be getting to me tomorrow! Times like this do make me miss Fun Pub and the Ask Vector Prime segments. 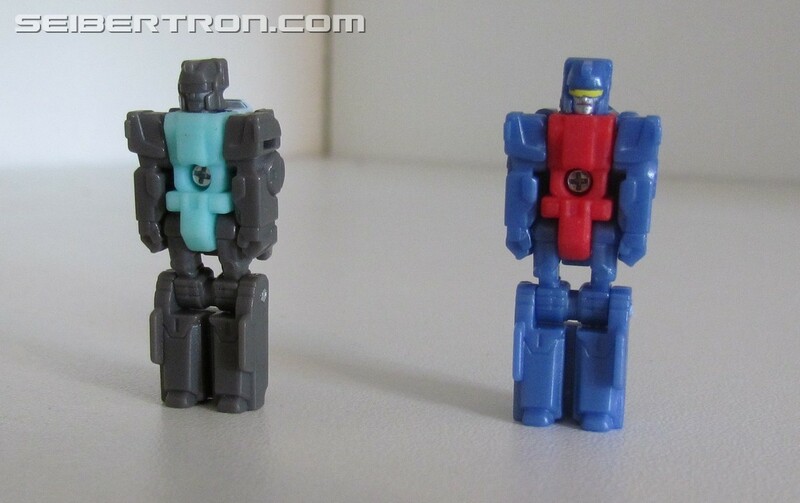 This two pack is a continuity curiosity, and I would love to be able to get an official answer on which fiction these figures are intended to belong to. My collection display depends on it! Lore Keeper wrote: I have my set ordered and it should be getting to me tomorrow! These are technically his G1 incarnation since the back of the box calls him a data scientist and both it is supposed to show his evolution (as said in the back). So yeah, this is G1 Prime. It's weird, since not only do we have different design ethics behind the two; we have very different colour schemes and hues as well -- making it all the more harder to believe they're from the same universe. Kurona wrote: It's weird, since not only do we have different design ethics behind the two; we have very different colour schemes and hues as well -- making it all the more harder to believe they're from the same universe. Maybe Prime asked drift for a paintjob to represent his changed state of mind. That wasn't G1 Orion Pax's occupation, though. G1 Orion was a dock worker in the cartoon. 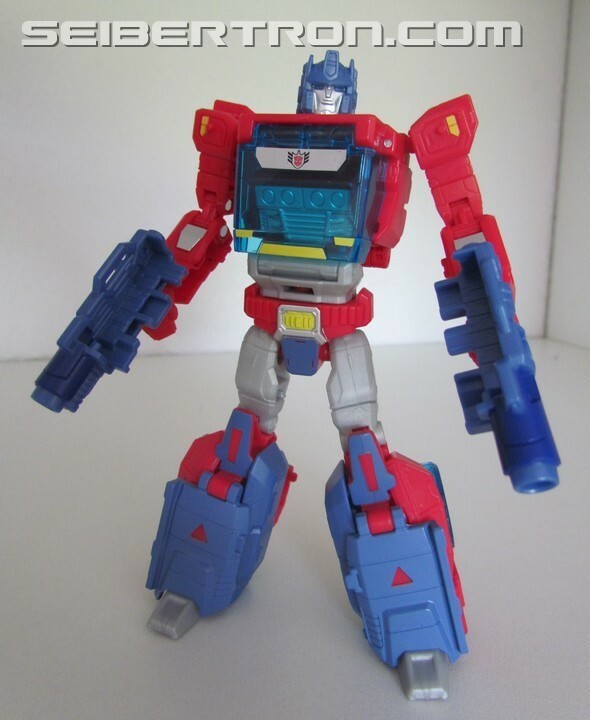 Or if you mean IDW G1, that Orion wasn't a data clerk either. He was a cop. Only Aligned Orion was a data clerk. 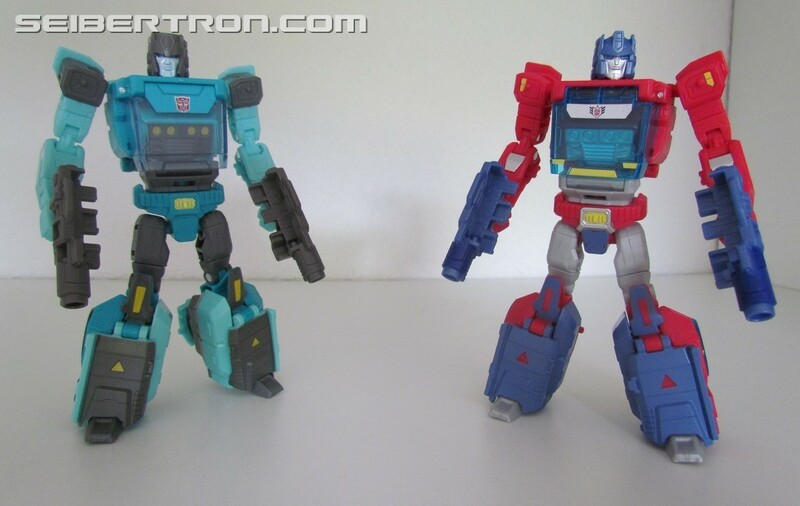 I want both Kup and Orion Pax. To bad both will NEVER show up in any of my local stores.